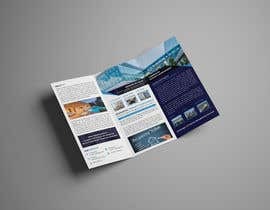 Seeking a Trifold Brochure for Real [login to view URL] shows that we are a "Commercial Real Estate Brokerage"
We want it to be able to grab the attention of anyone who picks it up. The purpose of this brochure is to mail it to owners, or present to owners and spark their interest in our company to list their property to sell, assist investors in purchasing an investment property, manage properties and lease. Final file format must be in psd format, original file with all layers unflattened. Thank you for extended the time. IF anyone can do a mockup of an actual commercial real estate business trifold, i can write the content - I do not have the time at this moment that is the reason for outsourcing work. I am not providing what needs to be written I am requesting you to write it.